For the first 19 years of its existence, from 1830 to 1849, Pekin was a pioneer town, with much of the character that is associated with the Wild West rather than a modern semi-rural Midwestern city. A Native American village even thrived near the new town until 1833, first located on the ridge above Pekin Lake and later on the south shores of Worley Lake. However, as Pekin’s pioneer historian William H. Bates tells in the 1870-71 Pekin City Directory, it was in that first period of Pekin’s history that the crucial groundwork was laid for Pekin’s civic development. Thus, Bates tells us that Pekin’s nascent economy got a boost in Pekin’s first year with the opening of two stores – one belonging to Absalom Dillon and the other to David Bailey – and a hotel or tavern operated by Pekin co-founder Gideon Hawley. Religion in the new town also made its debut in 1830, with the construction of Rev. Joseph Mitchell’s Methodist Church on Elizabeth Street between Third and Capitol. The following year, Thomas Snell built the town’s first school house, located on Second Street between Elizabeth and St. Mary. Thomas’ son John was the school teacher. The same year, Thomas built Pekin’s first warehouse. The most significant of 1831’s milestones for Pekin was the transfer of the county seat from Mackinaw to Pekin. 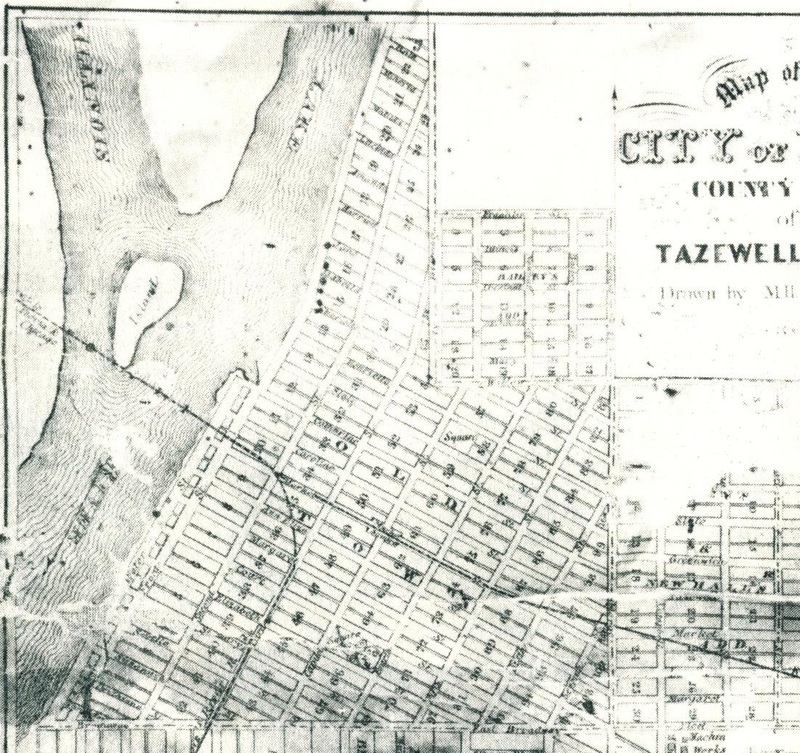 When the Illinois General Assembly created Tazewell County in early 1827, Mackinaw was designated as the county seat because it was near what was then the geographical center of Tazewell County. But Pekin’s location as a port on the Illinois River meant Pekin was less remote than Mackinaw. That greater accessibility gave Pekin better prospects. Another thing that may have played a role in the decision to move the county seat was a memorable extreme weather event: the incredible “Deep Snow” of Dec. 1830, a snowfall and sudden freeze that had turned life on the Illinois prairie into a desperate fight for survival. Pekin was closer to other, larger towns and settlements than Mackinaw, and therefore safer for settlers. With such considerations in mind, the county’s officials decided to relocate to Pekin even though Illinois law still said Mackinaw was the county seat. Pekin remained the de facto county seat for the next five years. During that time, Illinois Supreme Court Justice Samuel D. Lockwood presided over the Circuit Court in Tazewell County. 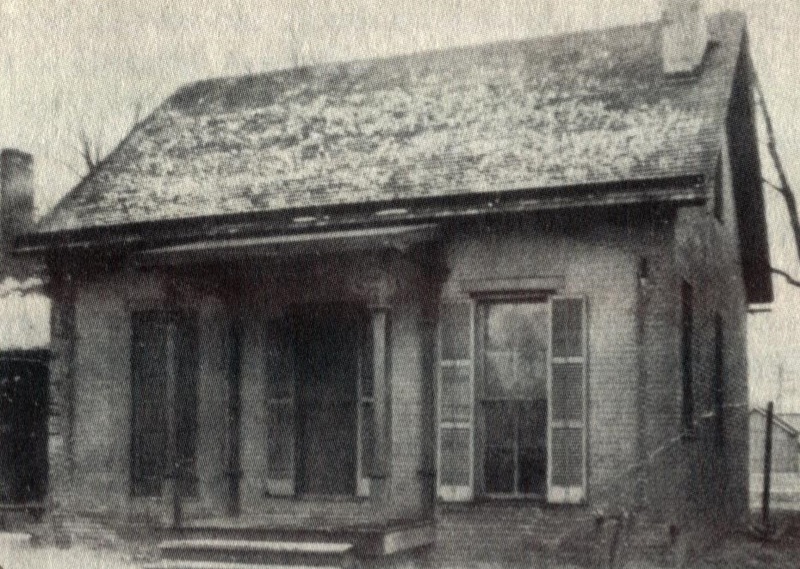 Court at first took place in the Snell school house, but later would convene in the Pekin home of Joshua C. Morgan, who simultaneously held the offices of Circuit Clerk, County Clerk, Recorder of Deeds, Master in Chancery, and Postmaster. That house was later the residence of Pekin pioneer doctor William S. Maus. The Black Hawk War, Illinois’ last conflict with its Native American population, broke out in 1832. The war lasted only a few months. It began disastrously for the Illinois militia with the debacle at Stillman’s Run in northern Illinois, where the untrained and undisciplined militia recruits quickly succumbed to panic and fled, leaving behind the few brave men in their number to be butchered and scalped. As Bates sardonically put it, “The balance of the command, so history hath it, saved their scalps by doing some exceedingly rapid marching to Dixon on the Rock River.” Among the fallen was Pekin co-founder Major Isaac Perkins. Despite the war’s inauspicious start, the Illinois troops quickly gained the upper hand and Sauk war leader Black Hawk (Makataimeshekiakiak) was forced to give up the struggle. The outcome of the war was the greatest calamity for the remaining Indian tribes of Illinois, who beginning in 1833 were almost to a man forcibly relocated to reservations west of the Mississippi – including the Pottawatomi and Kickapoo bands who lived in Tazewell County. Tazewell County’s Pottawatomi were soon joined by the harried remnants of their kin from Indiana, whom state militia soldiers forced to march west from their homes in Indiana in 1838 along a route that is remembered as the Pottawatomi Trail of Death. In July 1834, an epidemic of Asiatic cholera struck Pekin, causing the deaths of several pioneers, including Thomas Snell and the wife of Joshua C. Morgan. The victims were hastily interred in the old Tharp Burying Ground, the former site of which is now the parking lot of the Pekin Schnucks grocery store. Given the challenges and upheavals of the first five years of Pekin’s existence, it should not be surprisingly to learn that there are no surviving records of the town’s elections prior to 1835. On July 9, 1835, the townsfolk elected five men as Trustees: David Mark, David Bailey, Samuel Wilson, Joshua C. Morgan, and Samuel Pillsbury. Two days later, Pekin’s newly elected Board of Trustees organized itself, choosing Morgan as its president and Benjamin Kellogg Jr. as clerk. One of the first acts of the new board was passing an ordinance on Aug. 1, 1835, specifying the town’s limits. At the time, Pekin’s boundaries extended from the west bank of the Illinois River in Peoria County eastward along a line that is today represented by Dirksen Court, reaching out as far as 11th Street, then straight south along to 11th to Broadway, then westward along Broadway back across the Illinois River to Peoria County. It is noteworthy that land in Peoria County has been included within the limits of Pekin ever since 1835. This detail from an 1864 map of Pekin has been cropped to match the town limits of Pekin as they stood in 1835 — extending from the west bank of the Illinois River eastward to what is today 11th Street, and from Broadway north to what is today Dirksen Court. Many of the 1864 streets did not yet exist in 1835, of course. Pekin’s first Board of Trustees continued to meet until June 27, 1836, when the county seat was formally relocated by Illinois law to Tremont, where a new court house had been built. Pekin then elected a new board on Aug. 8, 1836, the members of which were Samuel Pillsbury, Spencer Field, Jacob Eamon, John King, and David Mark. King was elected board president and Kellogg was again elected clerk. Board members served one-year terms in those days, so Pekin held elections every year. Getting enough board members together for a quorum was evidently a real challenge. The board addressed that problem by passing of an ordinance on Jan. 4, 1838, stipulating that any board member who was more than 30 minutes late for a board meeting would forfeit $1 of his pay. Another notable act of Pekin’s board around that time was a resolution of Dec. 29, 1840, adopting “an eagle of a quarter of a dollar of the new coinage” as the official seal of the town of Pekin. On Dec. 29, 1840, the Pekin Board of Trustees officially adopted an American eagle like the one shown on this mid-19th century quarter as the seal of the Town of Pekin. Throughout these years, Pekin continued to see economic developments. The first bank in town, a branch of the Bank of Illinois, was established in 1839 or 1840 at the rear of a store on Second Street. There was not yet a bridge across the Illinois River, but ferries were licensed to operate. Alcohol distilleries also were established in the area that is still Pekin’s industrial district, and around those years Benjamin Kellog also built the first steam mill near the river between Margaret and Anna Eliza streets. In spite of a scarlet fever epidemic in winter of 1843-44, these economic developments were signs of Pekin’s continuing growth and progress, notwithstanding the loss of the county seat to Tremont. The pioneer town was poised to attain the status and rank of a city. A total of 84 Illinois counties were organized from 1790 (when Illinois was a part of the Northwest Territory) until 1839, when the Illinois General Assembly established a record 15 new counties in a single year. The remaining 18 counties of Illinois were founded from 1841 to 1859, which averages out to one new county a year during that period. However, the establishing of those 18 counties didn’t happen that regularly, for seven of them were established in 1841: Grundy, Henderson, Kendall, Mason, Piatt, Richland, and Woodford counties. Grundy County is named for Felix Grundy (1777-1840), a Tennessee senator who served as the 13th U.S. Attorney General. Henderson County was named for Henderson County, Kentucky, which in turn was named in honor of North Carolina pioneer Richard Henderson, a colleague of Daniel Boone who was involved in a land investment scheme that aimed to create a new state called Transylvania out of land that is now a part of Kentucky and Tennessee. This 1905 map, from “Origin and Evolution of Illinois Counties,” shows the final boundaries of Illinois’ counties with the dates they were first organized by the territorial and state legislatures of the Northwest Territory, Indiana, and Illinois. Kendall County was named after Amos Kendall (1789-1869), who served as Postmaster General in the cabinets of Presidents Andrew Jackson and Martin Van Buren. Mason County was named after Mason County, Kentucky, which had been named after George Mason IV, remembered as the Father of the Bill of Rights. Mason was one of the three delegates to the Constitutional Convention of 1787 who refused to sign the new Constitution because it failed to safeguard the rights of the citizens and the states. 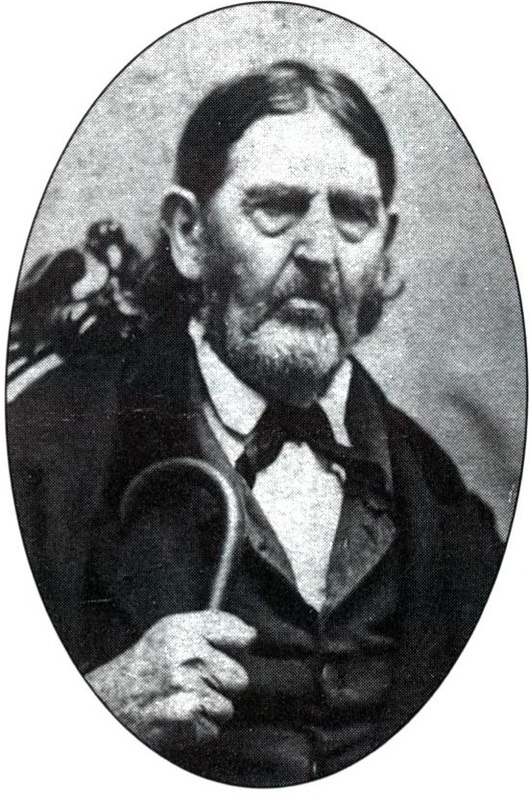 Piatt County is named after John Piatt, the father of one of that county’s prominent pioneer families. Richland County is named after Richland County in Ohio, which had been so named for its rich soil. Woodford County is named after Revolutionary War Gen. William Woodford, who died as a prisoner of war in 1780. Massac County, in southern Illinois on the Ohio River, is named for a French outpost called Fort Massac, constructed near the river in 1757 within the present bounds of Massac County. Moultrie County is named after Revolutionary War Gen. William Moultrie (1730-1805), who also served as Governor of South Carolina. Pulaski County is named after Gen. Casimir Pulaski, a Polish American who commanded U.S. cavalry during the Revolutionary War. Saline County, named for the salt deposits found there, was established in 1847. Six years later, in 1853, Kankakee County was added, named for the Kankakee River. The river’s name is thought to derive from the Miami-Illini Algonquin term teeyaahkiki, meaning “open country” or “country exposed to view,” probably given to the area because it was a marshland. The last two counties of Illinois, Douglas and Ford, were established in 1859, only two years before the start of the Civil War. Ford County was named after Thomas Ford (1800-1850), eighth Governor of Illinois. Douglas County was named in honor of Stephen A. Douglas (1813-1861), the well-known and popular racist Illinois Democrat who argued that slavery should remain legal in a famous series of debates with Abraham Lincoln in 1858. Even with his pro-slavery views, Douglas nevertheless was staunchly pro-Union – in the first weeks after the Civil War began, Douglas called on his Democrat supporters to support the Union before he succumbed to typhoid fever on June 3, 1861. 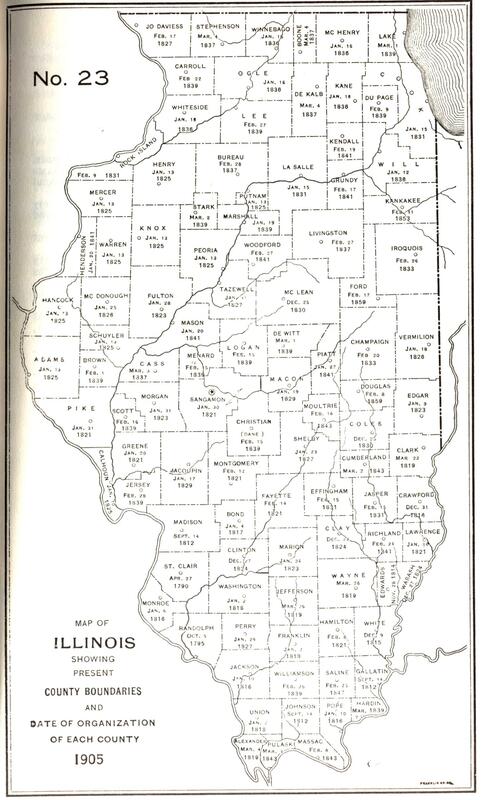 For more information about the founding and naming of Illinois’ counties, see the State of Illinois’ 1991 booklet, “Origin and Evolution of Illinois Counties,” available for study in the Pekin Public Library’s Local History Room.